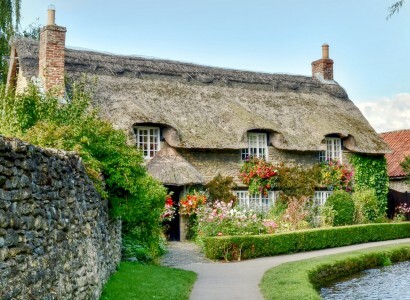 Beck Isle Cottage is a frequently photographed 17th century cottage located in Thornton-le Dale, North Yorkshire, England. Credit: Special thanks to Alison Christine for making the photograph used for this jigsaw puzzle available through the Creative Commons Attribution license. Visit Alison Christine's Flickr photostream. See all jigsaw puzzles based on Alison Christine's photographs.